Mahindra was hailed as “Best New Product” at the recently concluded 2016 Transport and Logistics Show at the SMX Convention Center in Pasay City, August 18-20, 2016. 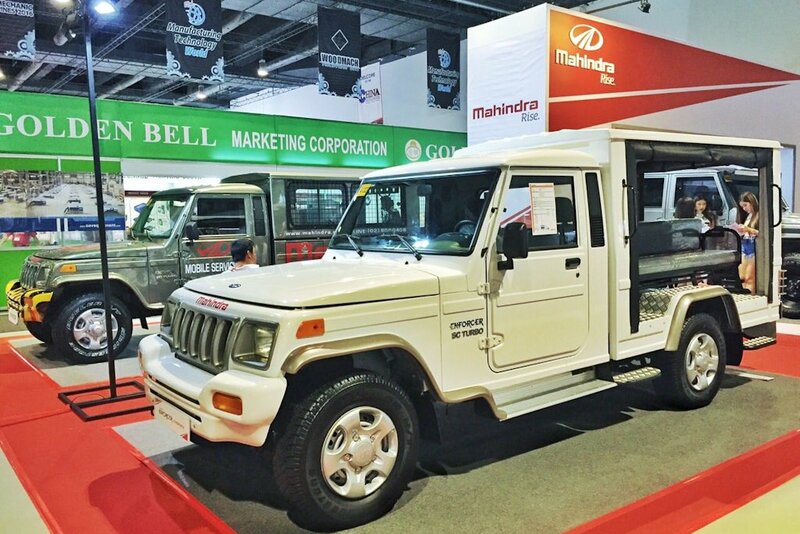 The award recognized Mahindra’s introduction of its latest product offerings – noted for their innovation, dependability and competitiveness – in the three-day transport fair. Displayed during the 3-day show was Mahindra’s Business Solutions line featuring the Xylo E2, the Enforcer Panoramic Van, and Enforcer Transporter. The Xylo E2 is Mahindra’s latest competitive offering in the Philippines’ AUV market. Powered by a 2.2 liter, 4-cylinder mHawk CRDi engine, the Xylo E2 can load up nine passengers with ease. Thanks to three rows of seats that can be easily stowed and folded, all nine passengers can fit with more room to spare for baggage and other cargo. The Enforcer panoramic van, on the other hand, highlights the vehicle’s versatility both as a 12-seater air-conditioned people carrier and as a cargo mover, while the Enforcer Transporter (the model currently in use by the PNP) boasts its capability and efficiency as a troop carrier with its modular seats. Along with the Business Solutions line, Mahindra showcased its customized Enforcer 4x4 double cab featuring custom bumpers with 9,500-lb Winch hook, solid wrap-around steel framings, 51-inch roof-mounted LED light bar, 288/75/16 tires, and higher ride height. This iteration of the Enforcer brings further the rugged nature of the vehicle with its go anywhere attitude. Also on show was the Enforcer Mobile Service Unit complete with tools and equipped with under-roller, towing device and other utilitarian accessories. 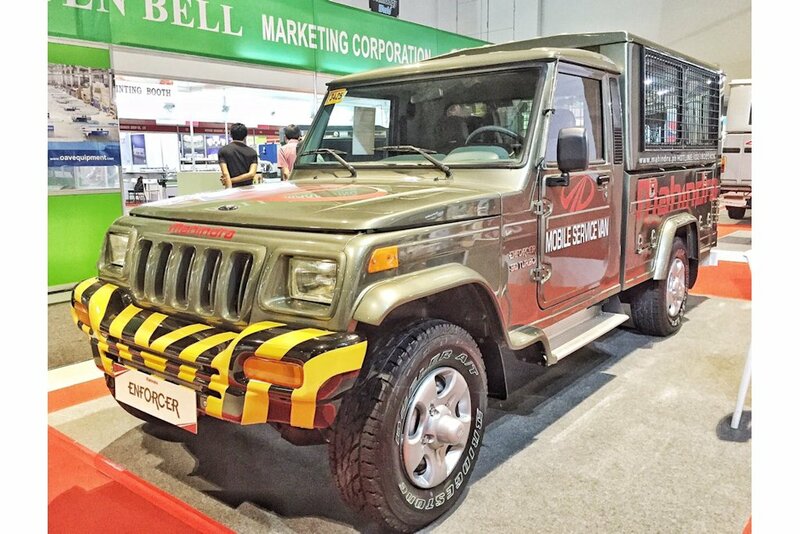 Designed and customized exclusively by Mahindra Philippines, the Enforcer Mobile Service Unit is an example of how Mahindra can customize any vehicle to adapt to the customer’s needs. The Enforcer is currently the No. 1 light commercial vehicle in India. It is also the mainstay not only of the Indian military and security forces but also of other country’s military establishments which have found in the Enforcer the toughness, ruggedness and dependability best suited to secure their borders and maintain homeland peace and order. 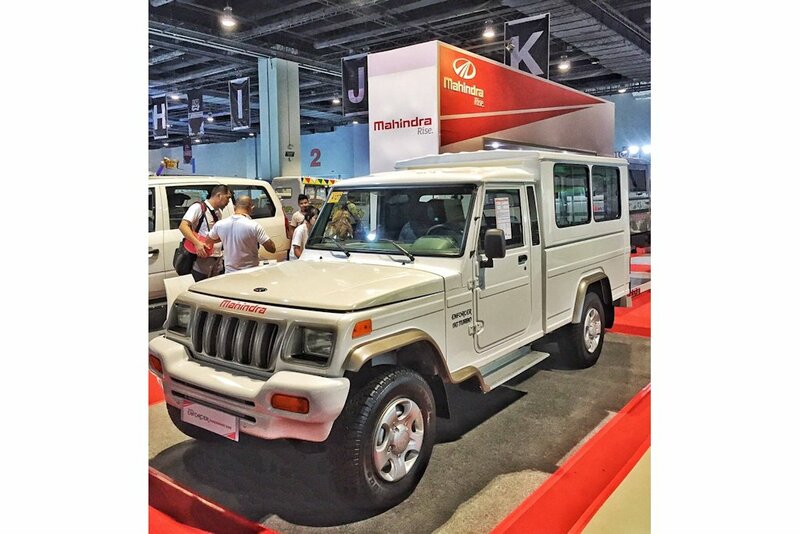 ahhh Mahindra. Naka pasok sa pinas due to Corruption. Dapat tawag dyan Mahina. Napaka-walang kwentang sasakyan ni hindi pinag-aralan ng mga bumbay ang itsura at kalidad ng mga sasakyan nila. Everytime makikita ko ang mahindra nandidiri ako, kahitsura ni Mar kawatan..